On Saturday January 5, 2019 Nickelodeon premiered a new sit-com, "Cousins for Life," starring Dallas Dupree Young (HBO's "The Good Place") as Stuart and Scarlet Sofia Spencer (Netflix's "Bright") as Ivy, cousins forced to live under one roof. "Cousins for Life" airs on Nickelodeon Saturdays at 8:30 p.m. ET/PT. "I watch so many Nickelodeon shows when I heard I was in the car going to acting class. I was screaming in the car," said Dallas about when he found out he got the lead role in a Nickelodeon comedy series. "I felt so bad for the people in the car with me." Young is not new to acting even though he started in 2016. His credits already include the HBO series "The Good Place" from 2016 -2017, ABC's series "The Mayor" (2017), The Steven Spielberg director and Warner Bros Pictures presentation of Ready Player One (2018) and ABC Family's "The Fosters" (2018). "My mom told me to bring my phone to her and she started recording me," Scarlet said about when she heard the news she would had a lead role in a Nickelodeon sit-com. "She called my agent who said I got the role, I was screaming!" Guess the screaming on both their parts tell you how much passion they will put into the roles of Stuart and Ivy, who are 12 years-olds from very different back ground forced to live in one household. They learn however they are better together. "This is the biggest role I've every had...I had recurring roles. It's a multiple camera show," Dallas pointed out about being on Nickelodeon, the number-one entertainment network watched by children reaching over 90 million household in just the United States. "(Stuart) He is an entrepreneur who is very creative but gets in sticky situations." "(Ivy) She is an activist who wants to make the world a better place, but has a hard head," Scarlet said about her character. With the help of her mother she admitted that her character sounds a lot like her. When asked what they hope kids watching the show learn from it Young said, "That even though you are cousins and you don't get along sometimes, you have to respect them." 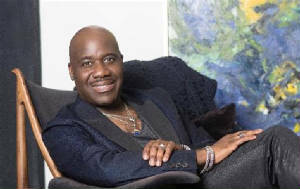 Will Downing recently released his first full Gospel album simply titled "The Promise" (Shanachie Entertainment). Downing and Randy Bowland produced the project that features saxophone support from Grammy Award winning Kirk Whalum and vocal support from Grammy Award winning Regina Belle. It is an amazing piece of work, thanks to the heart-felt vocals of Downing, the lyrical messages Downing and Bowland provide as songwriters, the exquisite harmony the background vocalists give and the cherry on this spiriting cake is the power Kirk and Regina bring. Offering 10 selections "The Promise" gives a Jazz twist to the Gospel of Jesus Christ. My favorite selections on the album include #1 "Take it to the Cross," which features Kirk Whalum, just for that reason it puts a Jazz twist to Gospel and uses the old spiritual phrase "take it to the cross." "Take it to the cross" means give your problems to Jesus and don't worry about them - he got you. I also love the Praise and Worship feel Will Downing brings to "Take it to the Cross" as he takes the role of Preacher leading the choir in the "take it to the cross" chant. Of course Whalums' signature wailing on the sax brings the Soul to the single. As soon as I heard the sax solo I knew it was Kirk Whalum. I also love #3 "I Hear a Voice" because of Downings' sweet Jazzy voice, his excellent harmony with the background vocalists, the lyrical message and Will's vocal tone. The #4 selection "You Blessed My Life" was a favorite of mine because Will Downing's vocal superiority is kind of showing-off, along with the heart-felt message of the song and those high-notes Downing does really blessed me. I liked #5 "He Will Be There" because it's a great hand-clapping Praise and Worship song that inspires. The remake #7 "God is so Amazing" is a favorite because Will's heart-felt vocals are Heavenly and I love the message it gives that defines Jesus Christ, The last song on the album #10 "Changed" featuring Regina Belle is a favorite because it's a powerful love song to the glory of God. The lyrics reminded me of the one day when I was five years-old God "changed" me and I started to see the world differently. Regina's vocal support on "Changed" also makes it a vocally powerful song. "It's the most attached I been to an album," Will said. " I did ‘God is so Amazing' in 2007 when I was real sick. It sounds weak. Listen to the original and this one back to back to see God." SYNDICATED COLUMN: Eunice Moseley, has an estimated weekly readership of over ¼ million with The Pulse of Entertainment. She is also a Public Relations Strategist and Business Management Consultant at Freelance Associates, and is Promotions Director (at-large) for The Baltimore Times. www.ThePulseofEntertainment.com. EVENT: "Uplifting Minds II" Free Entertainment Conference annually in Baltimore (Saturday April 20, 2019), held in partnership with Security Square Mall and The Baltimore Times and Los Angeles (October/TBD). Offering Entertainment Business panel and a talent showcase and competition (vocal, songwriting, dance and acting) with over $15,000 valued in prizes. www.UpliftingMinds2.com.